Order fulfillment services are essentially third-party organizationz that provide receiving, processing and delivery services on behalf of a client company. This service can be applied to a vast array of transactions, ranging from large business-to-business to individual direct-to-consumer orders. Enlisting the services of such providers is a little trade secret that Fortune 500 companies keep. It is how they are able to go about moving, storing and delivering their goods to their customers. However, the secret is pretty much out and even small businesses now have access to such services. 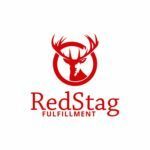 These services may not be as cheap as businesses may want them to be, but engaging fulfillment services can really make a difference in a company’s bottom line. 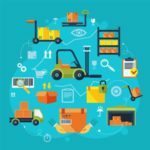 In our Shiprive reviews, we take a look a closer look at one of the popular order fulfillment services, which is a cloud-based platform designed to assist companies in their shipping, storage and delivery requirements. The service was founded by shipping and fulfillment service firm Shipwire Inc. 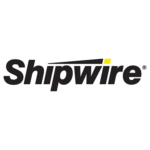 The company’s acquisition by technology firm Ingram Micro in 2013 helped boost Shipwire’s international business reach through its cloud-based enterprise logistics system and a network of warehouses around the world. The service has been expanding its clients’ global reach with existing warehouses located around the globe. Shipwire has storage facilities in China, the United States, Australia, Europe and Asia, with more locations currently in the pipeline. The service utilizes an enterprise-grade warehouse management system (WMS), which provides its clients with safe and secure storage for their goods, while being capable of shipping and special handling procedures. It is through this smart shipping platform that the service is able to efficiently select the best shipping couriers, routes and packaging options for all its customers’ products, effectively reducing shipping costs for their clients. Shipwire reviews show the company helps its customers focus on other areas of their business, specifically those who engage in ecommerce, by giving them more time to engage in management, marketing and customer relations. Built around a robust technology, Shipwire virtually makes logistics nightmares a thing of the past. Its focus on technology gives it the ability to offer customized shipping solutions to its clients. The service’s engineering team is constantly working on new e-commerce technologies that can further boost the service. According to our Shipwire reviews the platform easily integrates with a wide array of eCommerce solutions, including over 50 shopping carts and marketplace platforms such as CommerceHub, Magento, IShoppingCart, NetSuite, Volusion, and Shopify. It also works pretty well with order capture systems for easier inventory, order submission and the provision of real-time shipping rates for individual products. The service also seamlessly integrates with application program interface and comma-separated values for those who wish to automate their sales processes. Shipwire is known for its same-day shipping and cargo handling services. Orders submitted to the service before 5:30 AM are shipped within the day while those that come later are shipped during the next business day. The service is ideal for organizations that fulfill orders from global clients as it also assists in custom clearance processing and provides much-needed freight shipment support. Ordered products are also fulfilled in a timely manner through Shipwire’s ground and expedited delivery services. Client companies are also given the option of customizing their deliveries, in the form of confirmation emails, labels and tracking numbers, among others. Customers also get the option to cancel orders as long as they are not yet processed by the service. This customization capability enables businesses to retain their brands while using the Shipwire by providing their customers with the best experience. The strategic locations of Shipwire’s order fulfillment centers also allow its clients to reach both domestic and global customers in a matter of days. Established businesses are given the option to store products in multiple warehouses, while being able to send orders from those closest to their clients, resulting in lower shipping costs and faster delivery times. A big plus is that the service offers a money back guarantee to unsatisfied clients. For businesses with huge shipping requirements, the service offers a number of benefits. These include ridding themselves of the hassles of overseas shipping and storage. With Shipwire’s multiple locations around the world, businesses can easily deliver their goods to their foreign customers, whenever and wherever they are required. The service also allows organizations to enter markets previously inaccessible to them, resulting in market expansion and therefore, increased sales. Companies will also realize great reductions in shipping costs by using Shipwire, which handles shipping, storage and delivery processes, all at success-based prices. Shipwire’s analytics and dashboard are designed to allow users to accurately track both shipments and customers. Its provision of detailed reports gives its clients a clear snapshot of their shipping operations, enabling them to choose the best location to store their products. Shipwire’s integration capability furnishes users with real-time shipping rates, while allowing customers to submit new orders as they are received and inquire on the inventory status of their shipments. A free trial of the service’s storage facilities in the United States, Canada, Europe and Asia is also being offered. 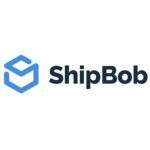 Aside from this, Shipwire also gives away a free order management software and web store and marketplace connections to prospective users. The system can give customers detailed shipping quotes ranging from base rates, insurance and packaging fees. Users also receive notifications directly through the dashboard, a feature that greatly enhances customer experience. Modifications in Shipwire’s insurance procedure now enable the platform to forward invoices so as to hasten insurance claims. Customers are also given greater control over product insurance qualification. Greater insurance options are now available by simply setting insurance preferences. Chances of losing track of one’s shipment is next to nil with Shipwire’s international address validation system. The system automatically puts on hold shipments whose destination addresses are incorrectly entered, thereby ensuring that the right delivery reaches the right addressee. What sets Shipwire apart from other fulfillment services are its pricing plans. Unlike its competitors, the service does not require first time users to enter into long-term agreements and accept minimum fees so as to secure competitive pricing. Shipwire’s pricing scheme is both simple and transparent, necessitating but minimal monitoring on the part of the user. However, despite these strong points, the service is basically expensive and should be availed by organizations who carry high profit products. The company offers a credit card-free, six-item free trial of the service, in which users can ship their products to Shipwire, which handles the shipment to end users or send them back to the client. After this free trial, the basic pricing scheme follows. For $29.95 per month a customer can store a single pallet of products with only five unique product numbers. Under the plan, sold or returned products are limited to only eight items per month. Aside from these, customers are also required to pay for all shipping and non-standard packaging costs. This is why businesses must make sure that they make enough money from their products if they are going to avail of the service. However, for customers who deal with large volume orders, Shipwire could very well be the perfect shipping solution in terms of pricing. Pick and pack fees are automatically lowered with increases in order volume. The service also offers negotiated pricing for established businesses who wish to avail of it. The service is highly-applicable to business-to-business companies who want to boost their revenues as orders can be fulfilled by Shipwire just as easily as product distributors do. Customers can also take advantage of the service’s pre-packed boxes for their wholesale orders as these boxes are priced the same no matter how much their product content are. It automates just about every shipping process that companies need. Customers have the option to choose the perfect storage location, compute their own shipping cost and retain their brand while having their products delivered on time. The platform’s ability to integrate with popular eCommerce solutions sees to it that business clients’ shipping requirements are fulfilled. Shipwire is also ideal for product distributors who want to expand their horizons in the international market as it has warehouse locations in five different countries. Users are also assured of their shipments’ safety thanks to Shipwire’s flexible insurance options. Businesses are also provided with detailed shipping quotes, keeping users updated at all times. What it lacks in affordability for smaller enterprises, it more than makes up for with its tailored pricing plans, which are designed to cater to businesses in need of vast distribution networks. The service’s initial credit card-free trial, along with its success-based pricing will benefit prospective customers as they are designed to provide the right services to the right clients. Truly, Shipwire is the perfect marriage between automation and logistics, a service that is worth investing in. Pricing here is quite misleading. Shipwire charges a MINIMUM of $500/month now and they changed this without any warning or an occasion to pull out from their warehouse. 2 words: STAY AWAY. Shipwire is our worst nightmare and a damage to our business. They lost thousands of dollars of our inventory and we will probably wait forever for a compensation. Terrible customer service, terrible pricing, they damage products and charge you for packing material when in fact they are just recycling old dirty boxes from the floor. They don’t even bother removing old labels from other companies from the box they use to ship your stuff. And for all that you pay high price. I ask them to put all our product left in a box and ship it to us. You have to create a special work order for that. They quote 2.5h an $91 of work to put 31 items in a box and then they will charge us to send it back. All these items are already in 3 boxes right next to each other… I don’t even understand how it could take so long. I just don’t get how they could still be in business but it’s probably because they make it impossible to quit. A quick search online and you will find hundreds or horror stories about Shipwire and it’s all true. No matter what, stay away from them. 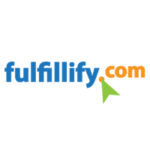 Basically ANY other fulfillment services in US or Canada will do way better for less.